Farmers are called to get involved in Open Farm School Days to inform and inspire the next generation about farming and all it delivers. 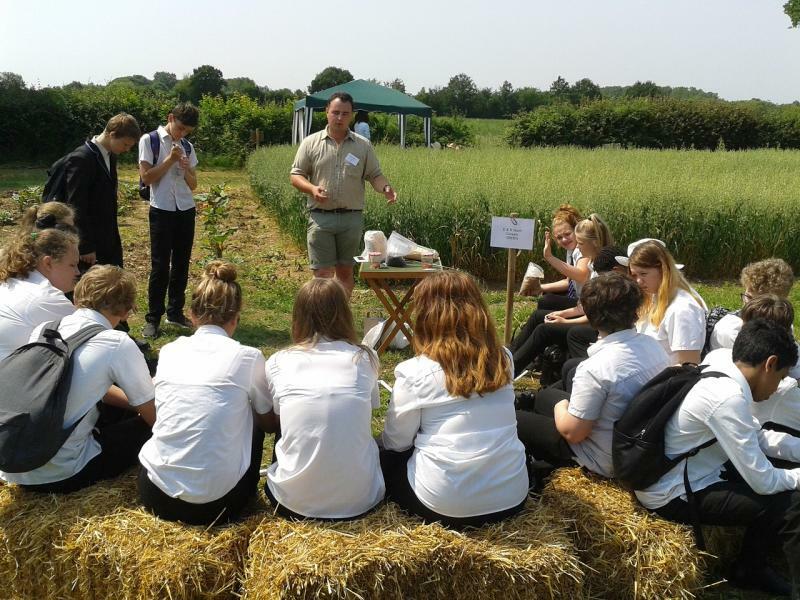 Running throughout June, the nationwide initiative by Linking Environment And Farming (LEAF) aims to get children and young people out onto farms and learn about where their food comes from, how it is grown and meeting the farmers who produce it. Children will learn how farmers grow crops for food, clothes and medicine, conserve energy and protect precious resources like soil and water, to how they use science and technology to farm sustainably and all they do to care for wildlife and the environment. The LEAF Open Farm School Days will provide an opportunity for children and young people to experience farming at first hand and learn about its impact on their daily lives and the world around them. LEAF Director of Education and Public Engagement, Carl Edwards explains: “Society needs individuals who are armed with the ability to make informed decisions about food and its production. Poultry farmers, Nick and Claire Bragg from Frogmary Farm in Somerset regularly open up their farm for LEAF Open Farm School Days. They teach children about farming and healthy food by promoting the food they produce on-farm. The farm has a specially designed broiler house which includes a viewing area that allows the children (and their teachers and helpers) to see just how the chicken they eat is reared. To support the initiative, LEAF offers free support and resources to help farmers put on engaging school visits. A set of ‘Science on the Farm’ posters, developed with support from the Biotechnology and Biological Sciences Research Council (BBSRC) is also available which cover topics such as soil science, water, biodiversity and grassland management. Supporting notes to accompany the posters, for use by both farmers and teachers, include activity ideas for events and guidance on how best to use the posters – both in and outside the classroom. Annabel Shackleton, LEAF Open Farm Sunday manager said farms provide "rich and diverse" learning experiences. “We want farmers to open up, share their farms with the consumers of tomorrow and enthuse them about the world of farming. Farmers who already host school visits are encouraged to sign up as well as farmers who are planning to in the future,” Ms Shackleton said.